It’s rainy today in Paris but we are finally in the last day. It’s been an amazing two weeks where there were points that I thought I would not make it to the final day. I wasn’t playing well and, as I said, I had to play better to be able to reach the final. This says a lot about the importance of confidence in tennis. It is possible to not play well one day and well the next and all of that is mainly confidence. I was practicing well but playing bad. And what to say about Roger. A lot of people were saying he was finished, the changing of the guard and all those things. There you go, he is again in a final and playing amazing. Because his match against Novak was amazing. So I am very happy for him, really, he deserves respect because he is a great champion, the best ever in our sport. If we play today it will be a very good match, I believe. Looking forward to it. I hope they get to play and finish today! 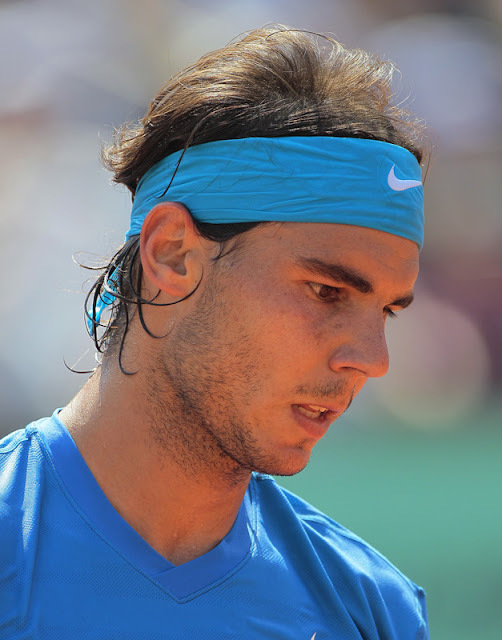 Q: Hello Mr Nadal, do you get nervous before a big match like the upcoming finals in a big tournament? RN: Yes sure. We all get nervous before a match and especially more if it is before an important one like today’s. The important thing is to be able to control that. Both Roger and I are used to it. I think it would be weird to not be nervous. Q: Hi Rafa. Congratulations on making it this far, and good luck for the final! I find it interesting that the US Open is the only Grand Slam to use a fifth set tiebreak to decide a match, so my question is, what is your opinion on using a fifth set tiebreak, do you think more Grand Slams should allow it or do you think it is better to play the fifth set until a player leads by two games? RN: This depends on each one. I think that it is nice to have matches like the one at Wimbledon last year that lasted so long. Or many other epic matches on Grand Slams. But also the tie break is exciting for the crowds and the tension of players, but probably less fair. Both are good options but I stay with traditions. I’m with Rafa on this one. Then again, I don’t like tiebreaks in general. Q: Hola Rafa, congratulations on another Grand Slam final. Can you tell me which of all your final victories is the best in your mind. The Wimbledon 2005 againt Roger Federer I think was not just the best tennis final but one of the greatest moments in sport. Q: Hi Rafa, many people had written and said that Roger Federer’s best days are behind him, but here you are again playing him in another final after he beats the most in-form player on the tour. Is he the best ever player and what do you have to do, how many slams do you have to win before you are considered the best ever? RN: I am happy to see Roger up there. He deserves it. Regarding the number of slams you can make the numbers. Not easy to achieve what he’s done. Q: Hi Rafa! I’m a huge fan of yours and I really hope you win at Roland Garros this year! Earlier in the tournament you said that you don’t think you’re playing well enough to win, after your amazing win against Andy Murray, do you still feel that way? Thank you and GOOD LUCK for the final! RN: I am playing much better and I feel better. I hope I can play like this today. I need to be at my best to have a chance against Roger. Q: Hi Rafa, hope you had a great birthday. My birthday is on the 8 June so can you please answer my question as a birthday gift… What was your most embarrassing memory when playing tennis? RN: I don’t really know you so it is tough to know your likes. I suppose the best gift is to have one from the people you love no matter what it is.
? Didn’t she tell him what she wanted? Q: Rafa, thank you for answering all our questions. Mine is: what is the best bit of advice you would offer to a young tennis player just starting out who dreams of one day being as good as you? RN: To have fun, to have fun and to keep having fun!